Sir Lenny Henry has become one of the most prominent and respected voices challenging the television industry to do better at diversity on-screen, behind the camera and in its executive ranks. 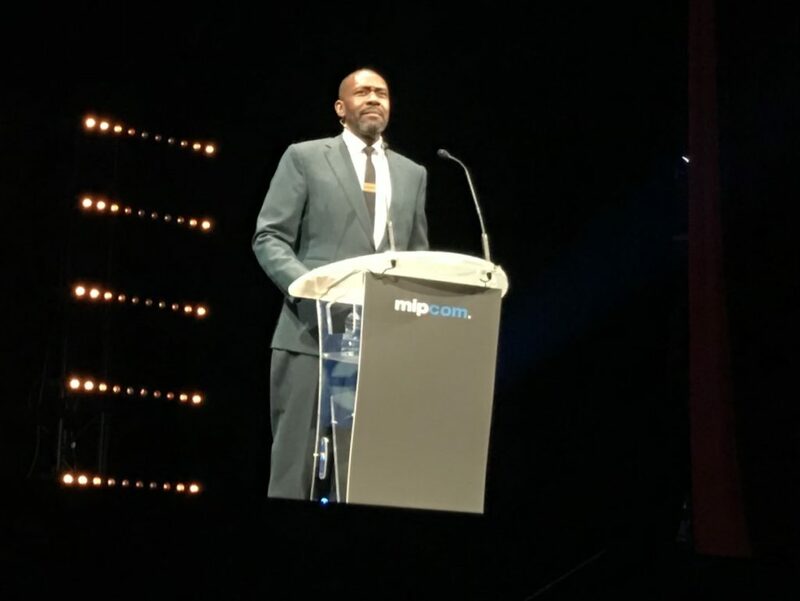 The British comedian, writer and actor delivered a MIPCOM keynote today addressing these issues, before being interviewed by journalist Ali May. 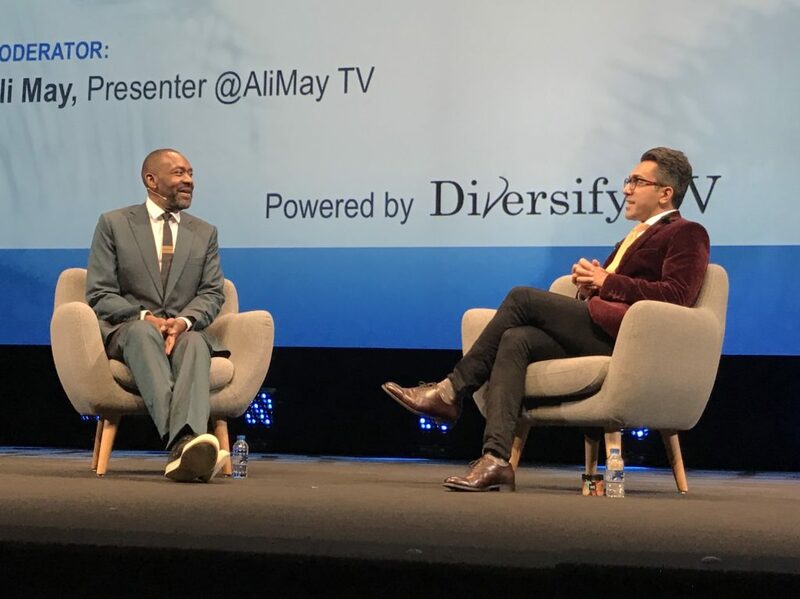 “I was incredibly excited when MIPCOM asked me if I would give a speech today because I feel the argument for how and why we need more diversity in television needs to move on,” began Henry. He noted that “women are not just the same as men in skirts. Black people are not just white people with browner skin, and a disabled person is not just the same as an able-bodied person who just happens to be in a wheelchair” before calling for “different experiences, different life stories” to be represented both in front of and behind the camera. “Without diversity behind the camera, certain stories are not being told. The histories of our disparate society are not being recorded. And in the end, the way we are governed will only favour the people whose stories and concerns the politicians hear about,” said Henry. Henry said he believes this argument is being won, pointing to the BBC writing diversity as a core objective into its charter this year, while all of the major broadcasters in the UK have signed up to better monitoring of their diversity. He cited some facts: just 9.5% of people working for BBC Studios are black or Asian, and that drops to 6.1% for people working in senior positions. But this is not just a BBC problem. Henry criticised broadcasters for not answering calls from trade unions to publish statistics on the diversity of their prime-time TV shows. Why can’t they? That means getting politicians to change the business model for how television is made, and concentrate the industry’s attention on the issue of diversity by offering tax breaks related to it, following in the footsteps of an incentive passed earlier this year in New York, with tax credits for TV productions increasing diversity in certain key roles. California is considering a similar piece of legislation. “But we don’t even have to look to the US… to see how tax incentives could change the way diversity and inclusion is viewed by the television industry. Britain has its own tax-relief system encouraging investment in both film and television,” said Henry, pointing to almost £600m in tax relief paid last year to the makers of films and TV shows that passed a cultural test qualifying them as British-made. That has boosted employment in the British creative industry by 5% year-on-year over the past four years. “Today I’m saying, that TV executives… don’t need more lectures on ‘why diversity is a good thing our industry’. I think we’re all on the same page with that,” he said. “You guys just need a break. Only in your case you need a tax break… I still believe that the broadcasters should ring-fence money to produce diverse television, just as they ring-fence money for other important programme genres such as children’s or news,” he continued. Henry said that “we just have to keep working at it. Water can reduce a rock to dust, but it takes a gazillion years” and hoped that calls for diversity and inclusion will be acted on considerably faster. “In the last couple of years, things are shifting. Campaigning is beginning to make people realise that we have to do something,” he said. Henry called for TV companies to lead by example, including looking for the diverse talent which already exists within their firms: people who may not be getting fair chances either on screen, behind the camera or in planning meetings. 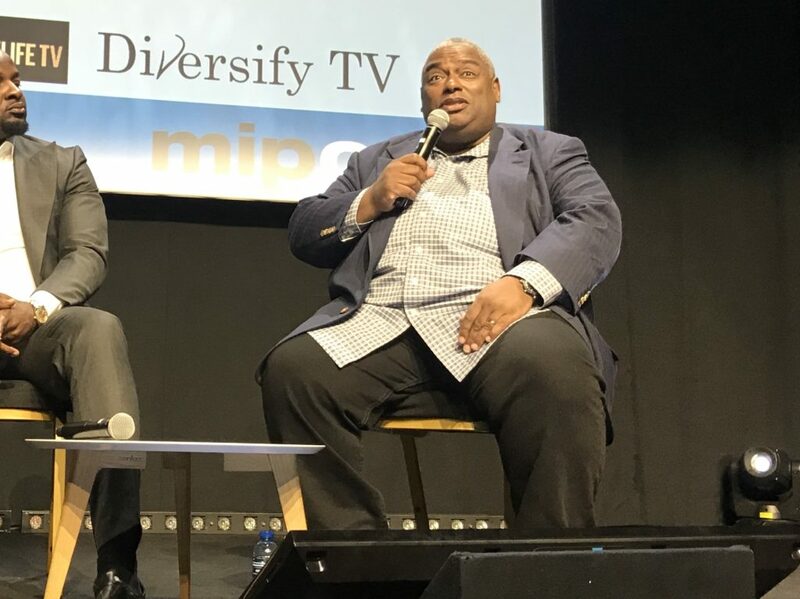 Shortly after Henry’s keynote, MIPCOM also hosted a panel session on diversity, titled Breaking Stereotypes to Connect Global Audiences. Speakers included Alex Okosi, EVP and MD of Viacom International Media Networks Africa; Tanya Lopez, SVP original movies and Lifetime original movies at A+E Networks; and Pat Younge, MD of Sugar Films. 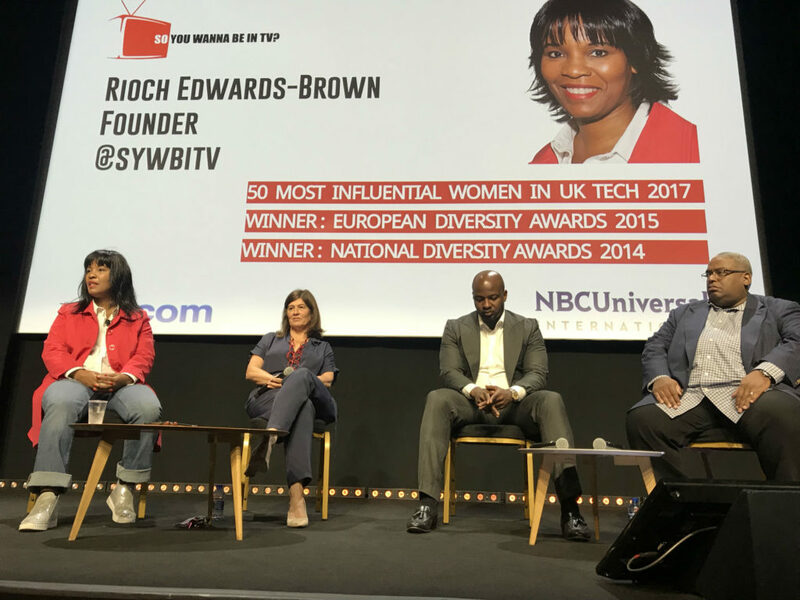 The moderator was Rioch Edwards-Brown, CEO of So You Wanna Be In TV? Okosi talked about Africa, which has the fastest-growing middle-class demographic in the world, with huge and young audiences for TV and video content. “It’s a very young population,” he agreed, adding that Viacom has been very focused on creating authentic African content for its viewers on the continent. Lopez talked about Project Runway, A+E’s iconic show. “It represents so much about what we want to strive for at A+E Networks and certainly at lifetime. Diversity comes in many forms; in this particular show we’re talking about women who aren’t the image of the perfect model. They’re different sizes… they have different backgrounds, gender,” she said. “It’s also representing something that goes down easy: fashion. Yet throughout the project, there’s a message.” And the show reaches a broad audience, showing that this ethos is no barrier to popularity. Younge showed a clip for a show called Should I Marry My Cousin? which deals with marriages between first cousins, in the context of the British Pakistani community. “Should I marry my cousin? If you’d met my family you’d say no!” he joked. But the issue is entirely serious. “The usual thing with a subject like that is just to say ‘no’ and that those people are very bad and backward… but if you step back and allow yourself an open mind, you get into quite an interesting subject.” He praised the young star of the show, who bravely put herself forward to explore this issue on screen, at a time of rising Islamophobia in the UK.